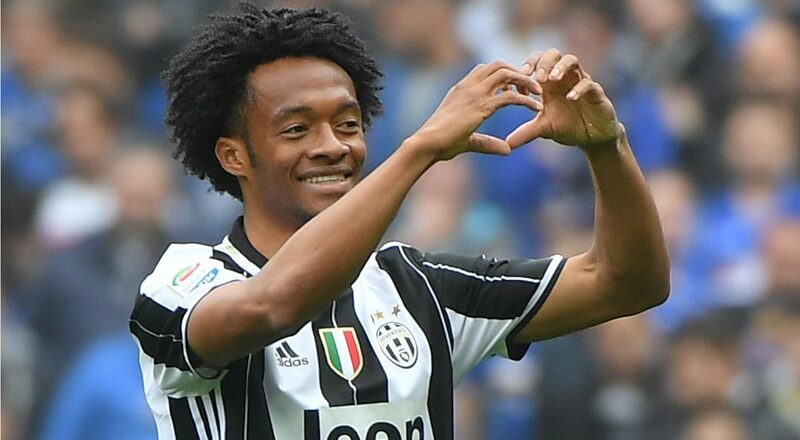 Real Madrid are trying to hijack Juventus move for Chelsea winger Juan Cuadrado. Cuadrado joined Juventus last summer on a season long loan deal and has impressed since returning to Italy. Juventus manager Massimo Alegri has told the club hierarchy that he would love to keep the former Fiorentina winger beyond the current campaign and the Old Ladies are eager to agree a fee with Chelsea that will see the Colombian remain at Juventus beyond the current campaign. Spanish publication Don Balon reports that Real Madrid are interested in signing the winger and will begin discussions with Chelsea. Fiorentino Perez has reportedly asked Super agent Jorge Mendes to begin negotiations with the Premier league champions over the signing of cuadrado as Madrid’s president looks to strengthen his squad for next season. Cuadrado’s versatility and performance for Juventus has attracted Perez and he believes that Cuadrado in the squad will help provide competition for Danilo at right back and also provide cover for Marcelo at left back. Cuadrado joined Chelsea in January 2015 and failed to impress in his time at Stamford bridge. The Colombian international featured for Chelsea 13 times and didn’t score a single goal for the blues. When the blues signed Pedro from Barcelona, the Colombian international was then loaned to Juventus. Previous Article← Costa & Falcao OUT! 2 Of Europe’s DEADLIEST Finishers TOP On Chelsea January Transfer Wishlist! Chelsea Fc will have no improvements if they are eyeing Emmanuel Adebayor as Costa’s replacement! Blues should think big before making decissions! !